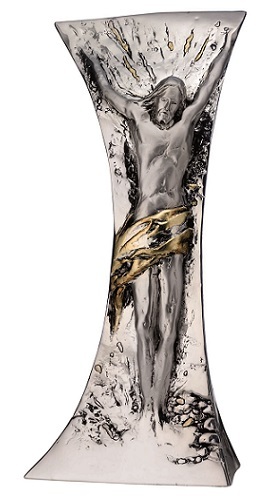 Sterling silver décor will bring a distinctive elegance to your home or office. 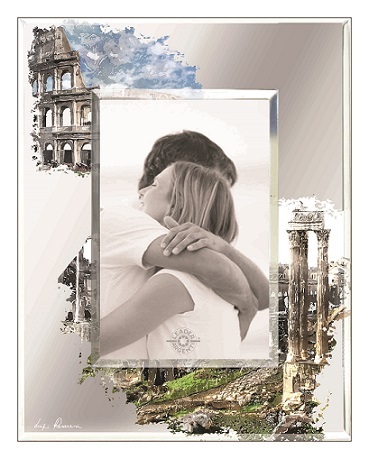 Jewelry boxes, lamps, picture frames, vases, candlesticks, and landscape artwork are just some of the exclusive items that are available. Decorative - Crucified Christ with gold highlights. 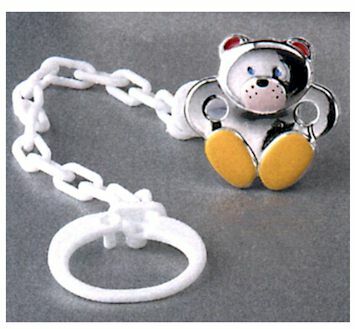 Decorative - Panda Bear Pacifier Clip in sterling silver. 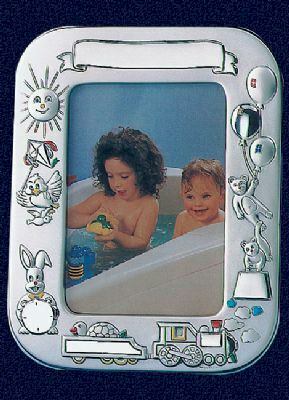 Decorative - Sterling silver baby photo frame, holds 5" x 7" photo. 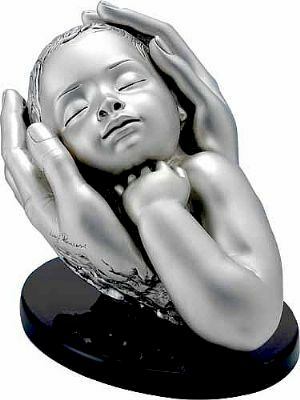 Decorative - Sweet Dreams" sterling silver laminated sculpture, depicting a new baby with a father's hand on one side of the infant and a mother's hand on the other side.